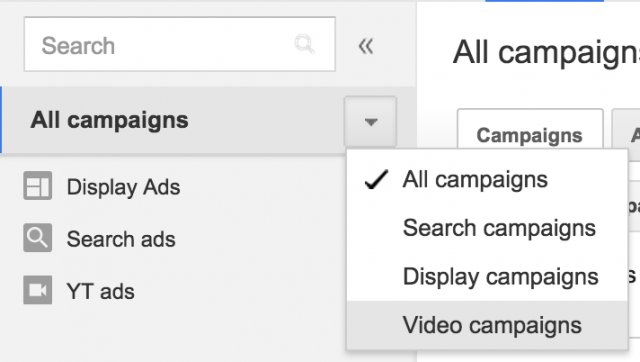 Yesterday, Google announced they are folding in the video campaigns, TrueView campaigns, directly into the AdWords advertiser portal, so you can manage your video ads in the same place you manage your search ads, shopping ads and so forth. Google said, "TrueView is joining Search, Display, and Shopping campaigns within the core AdWords interface." When you create a new ad group, you can now select video. With this, you can use much of the AdWords features to manage your video ads now. So you have a lot more tools are your disposal says Google. Interactions - An interaction is the main action people take with your ad format - such as clicks for text and shopping ads, views for video ads, and engagements for Lightbox ads. Interaction Rate - Interaction rate is used to measure how often people interact with your ad after it’s shown to them - for example, clicks divided by impressions for text ads, or views divided by impressions for video ads.